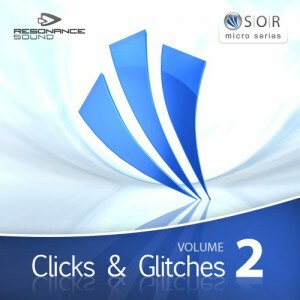 Oliver Schmitt aka Sounds of Revolution continues his hit ‘SOR micro series’ with ‘Clicks & Glitches Vol.2?, distributed through new label Resonance Sound. I’ve noticed that Sounds-of-Revolution has been cranking out Vol. 2 of their previous titles. One of those title is Click & Glitches, a library focused on one thing: to offer cut-up loops and quirky miscellaneous debris of samples to producers. Style-wise, this volume is pretty much the same as the first one with the exception that it has 25 more files (107 MB). This library can be used in conjunction with other loops or drum mixes that requires certain charm or lacks edge over others. Although a micro pack compared to the multi-gigabyte libraries out there, but still has lots of useful sounds that are great for many genres.